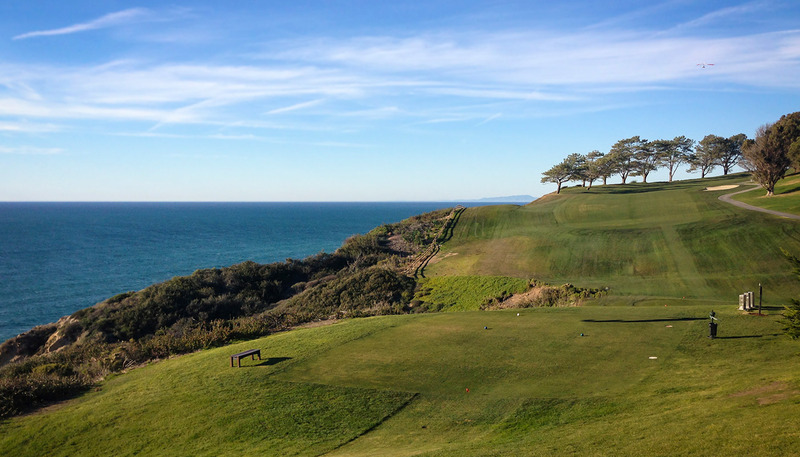 San Diego is one of the premier golf destinations in the country. Its moderate year-round temperates provide perfect weather for golf all year long. San Diego county features over 80 golf courses with a variety of design and layouts sure to satisfy even the most discriminating golfer. For a comprehensive list of San Diego golf courses, please click here. Balboa Golf Course Steakhouse 2600 Golf Course Dr, San Diego, CA 92102 Balboa Park Golf Course is located near the heart of Downtown San Diego. The facility features an 18 hole championship course and a 9 hole executive course. The 18 hole course features views of the City and Coronado from many holes. Mission Bay Golf Course Steakhouse 2702 North Mission Bay Drive, San Diego, CA 92109 The scenic 18 hole executive course, is located in Mission Bay and measures in at 2,719 yards. It is the only golf course in San Diego with night lighting. Facility includes a driving range, putting green, sand trap and chipping green. Torrey Pines Golf Course Steakhouse 11480 North Torrey Pines Road, La Jolla, CA 92037 Just 10 minutes from Pantai Inn you’ll find Torrey Pines Golf Course, one of the country’s most prestigious municipal courses. Home to the U.S. Open and the annual Farmers Insurance Invitational, the offers incredible views and 18 magnificent holes of golf.